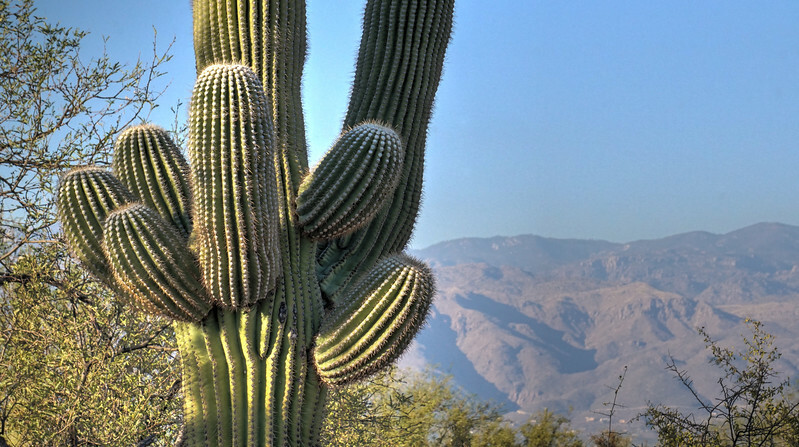 The saguaro can grow to be 40 feet high and often exceed an age of 150 years. They may grow their first side arm any time from 75–100 years of age, but some never grow any arms. A saguaro is able to absorb and store considerable amounts of rainwater, visibly expanding in the process, while slowly using the stored water as needed. This characteristic enables the saguaro to survive during periods of drought.